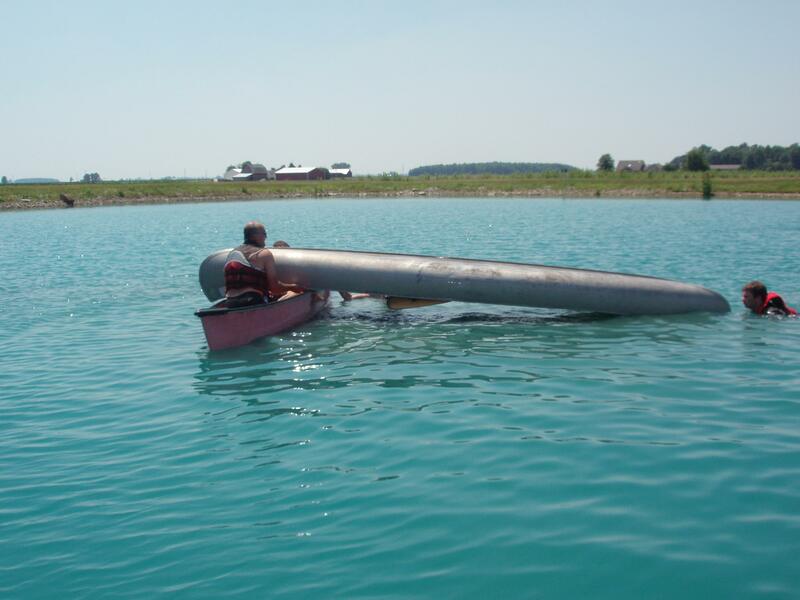 This year's high adventure trip is canoeing 92 miles on the Allagash Waterway in northern Maine. 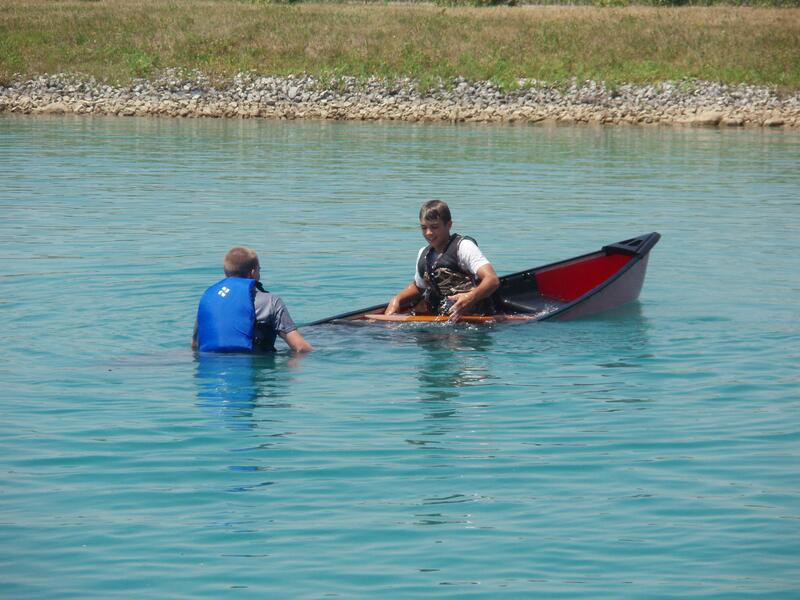 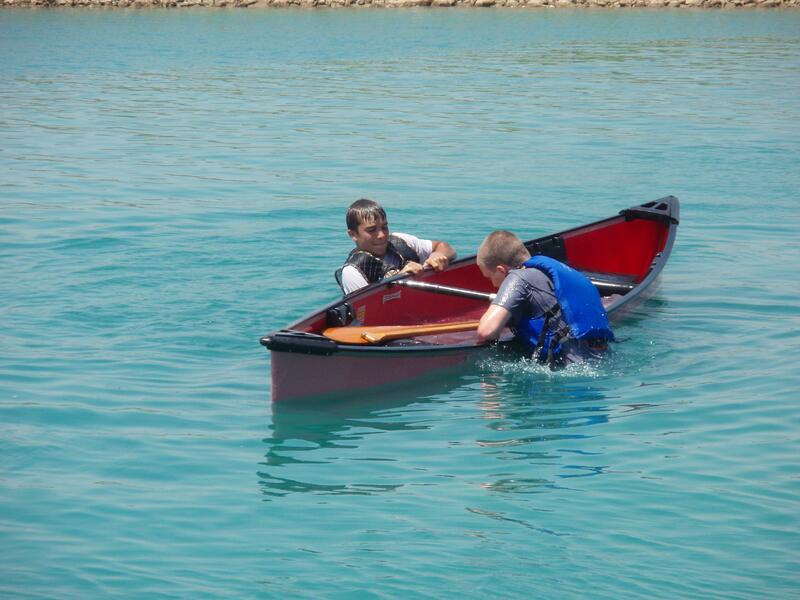 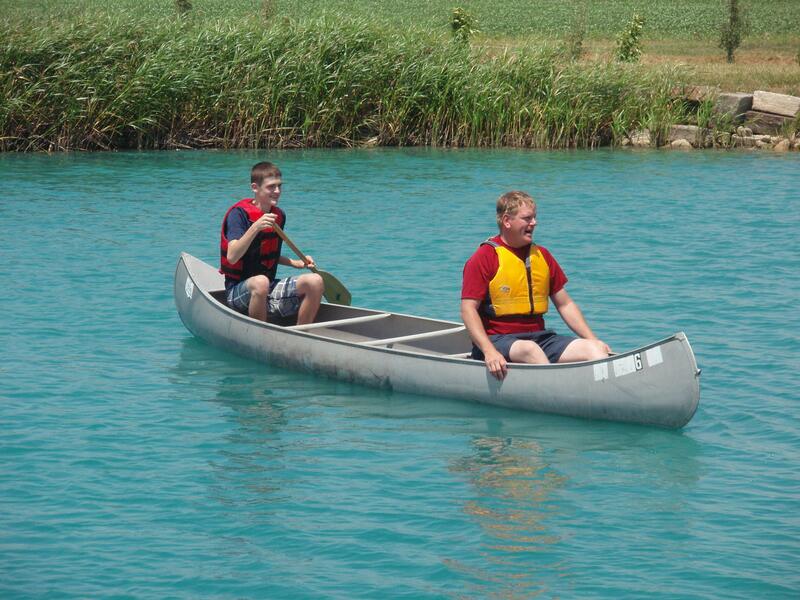 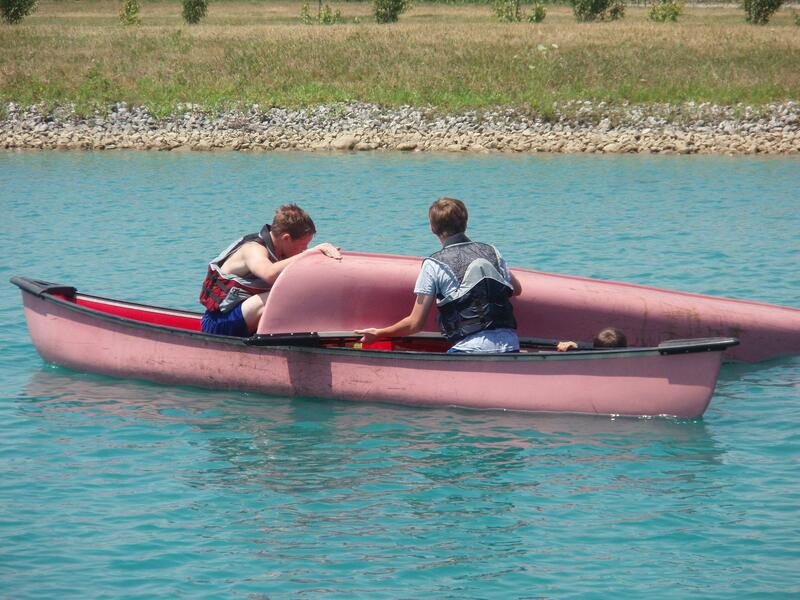 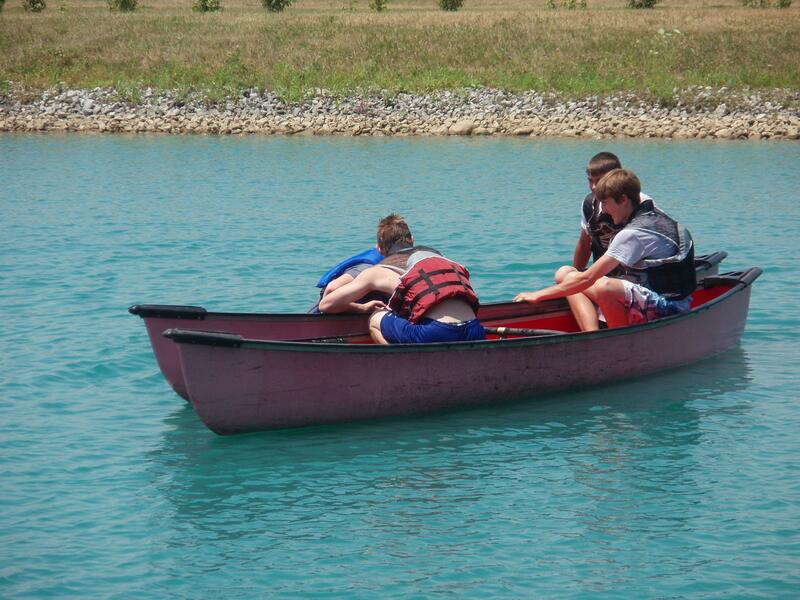 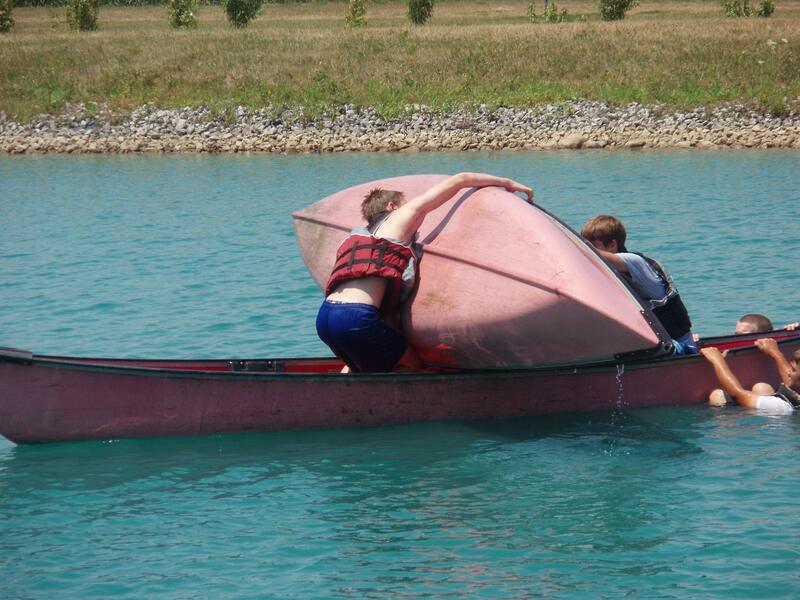 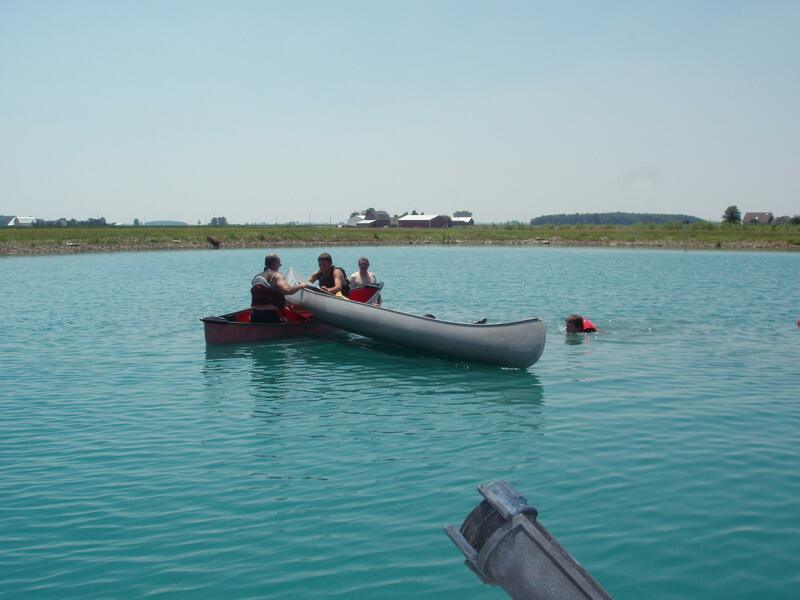 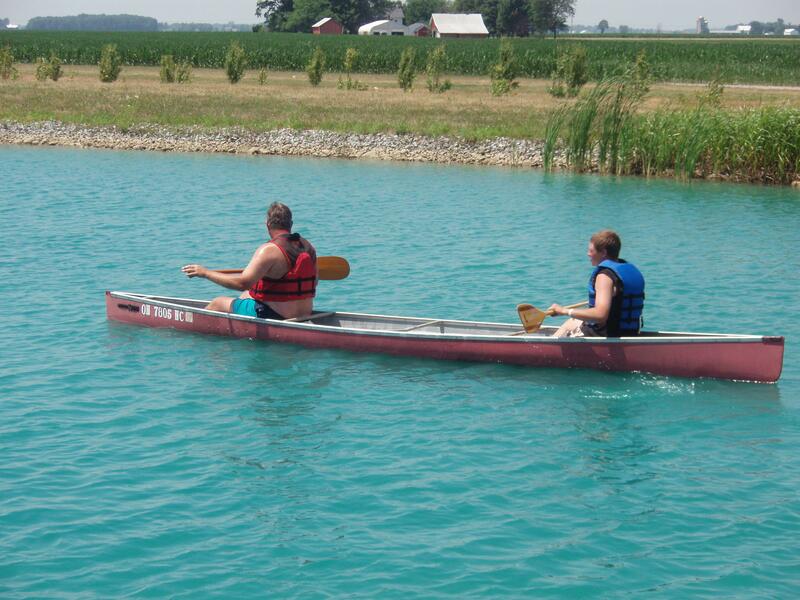 Preparations for the trip included an afternoon of reviewing and practicing canoe safety. 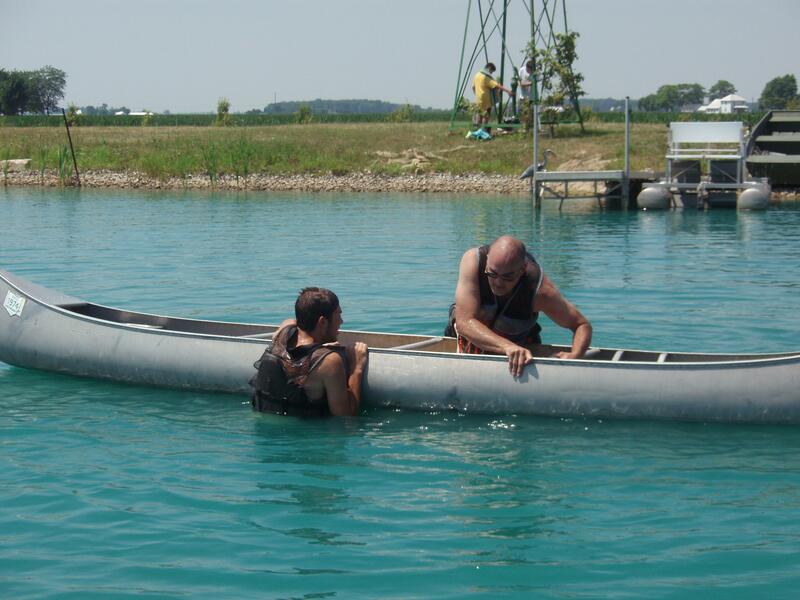 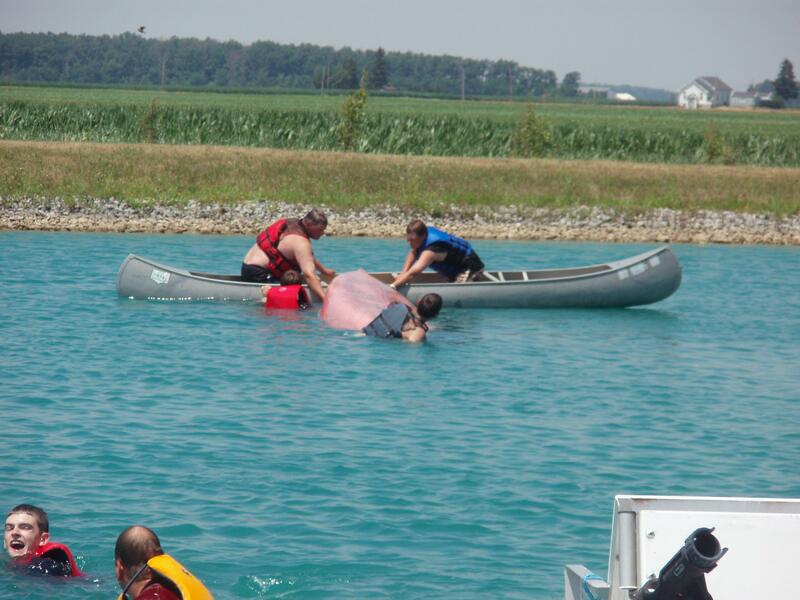 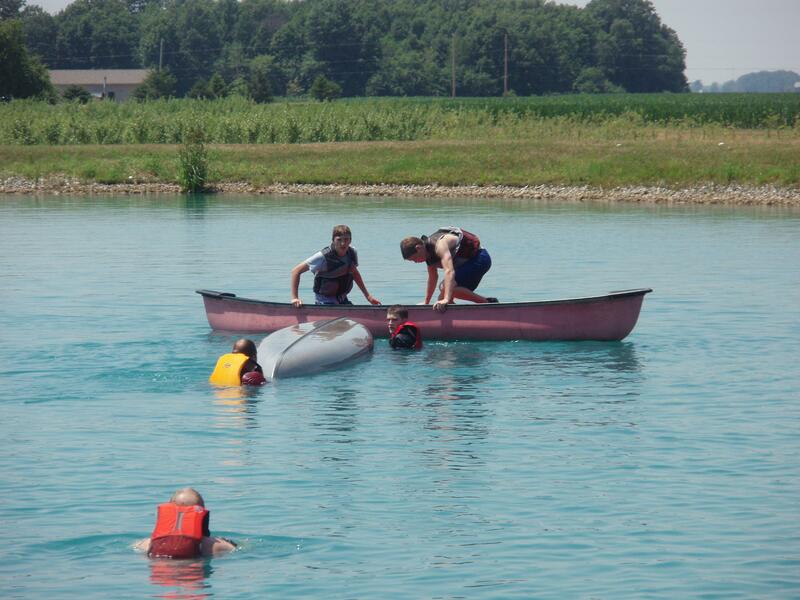 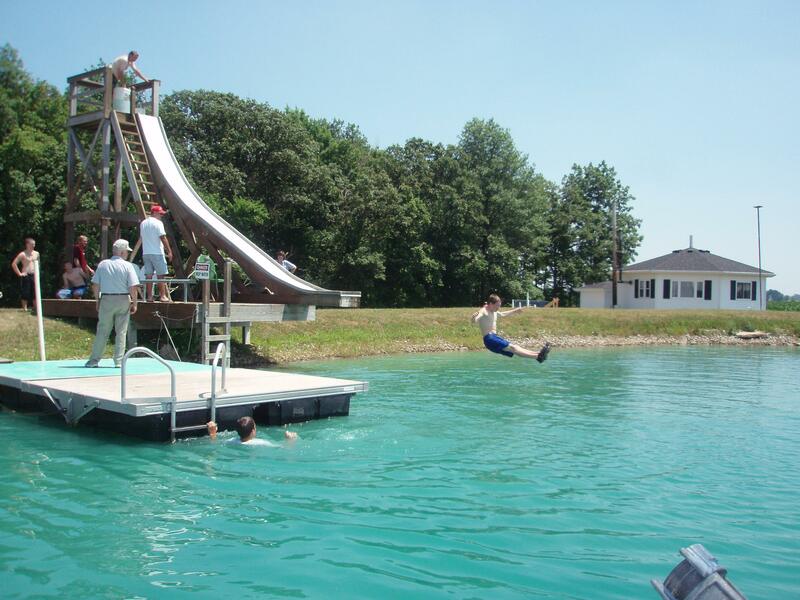 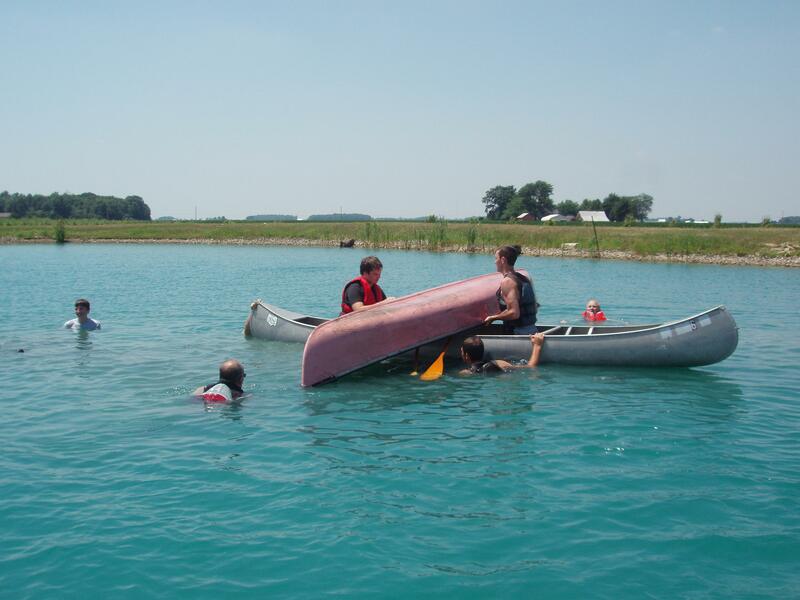 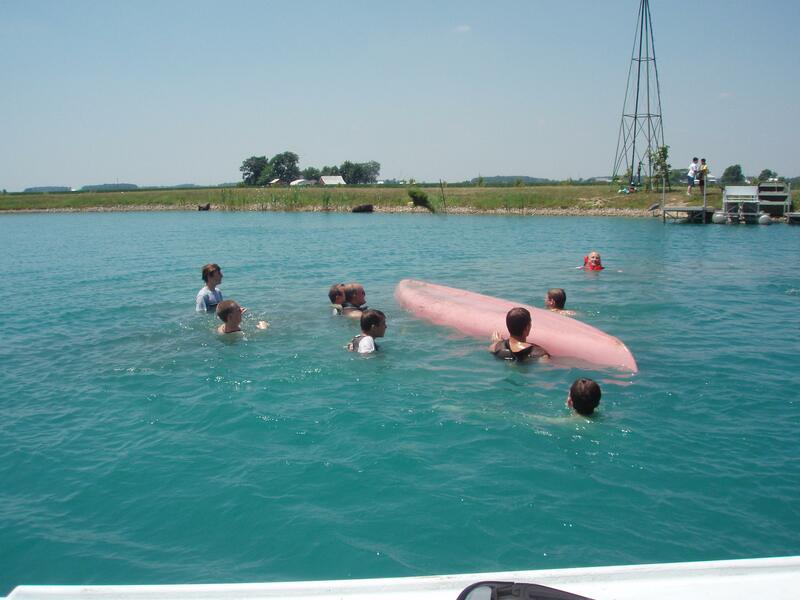 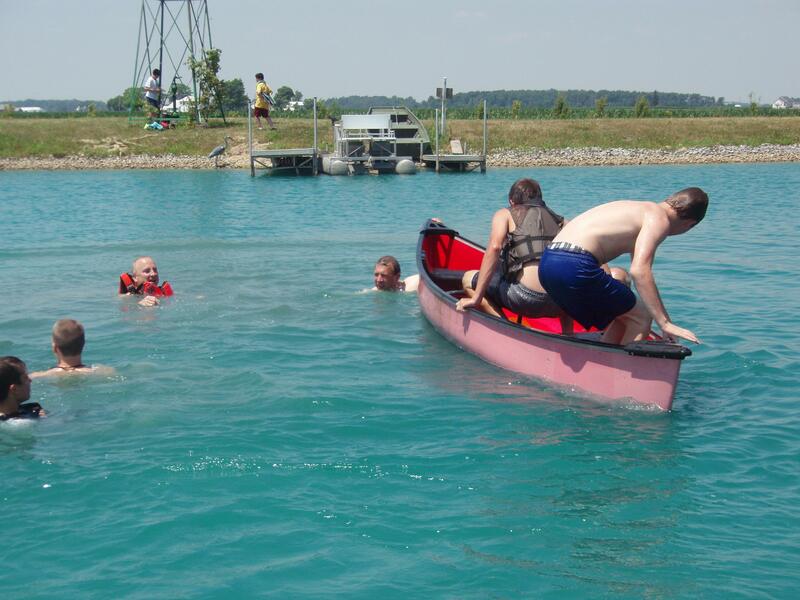 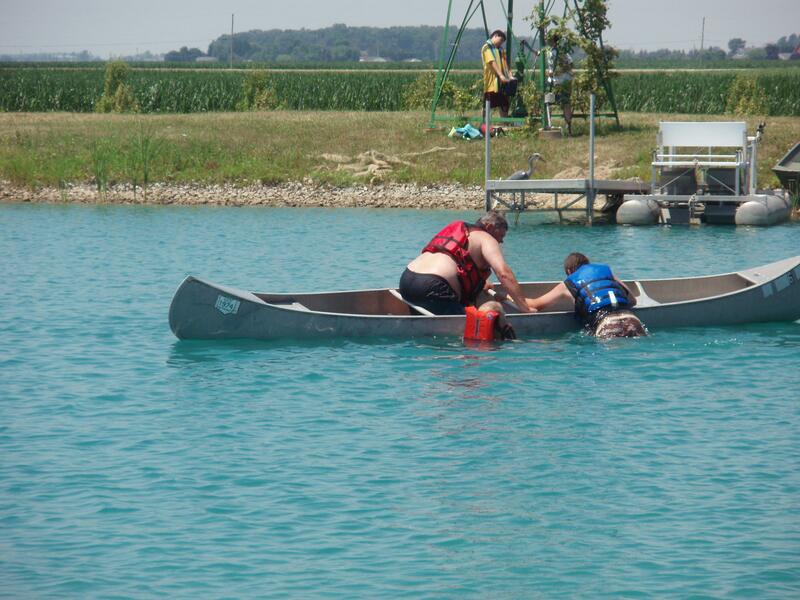 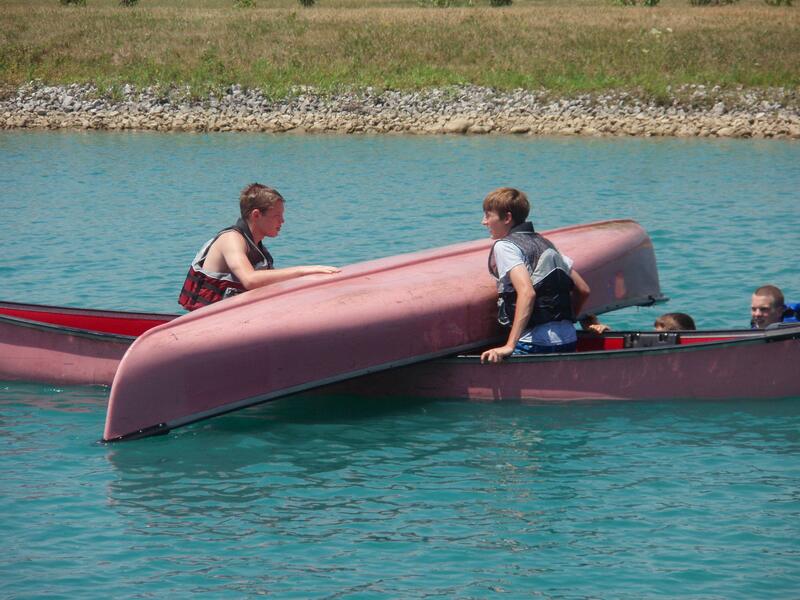 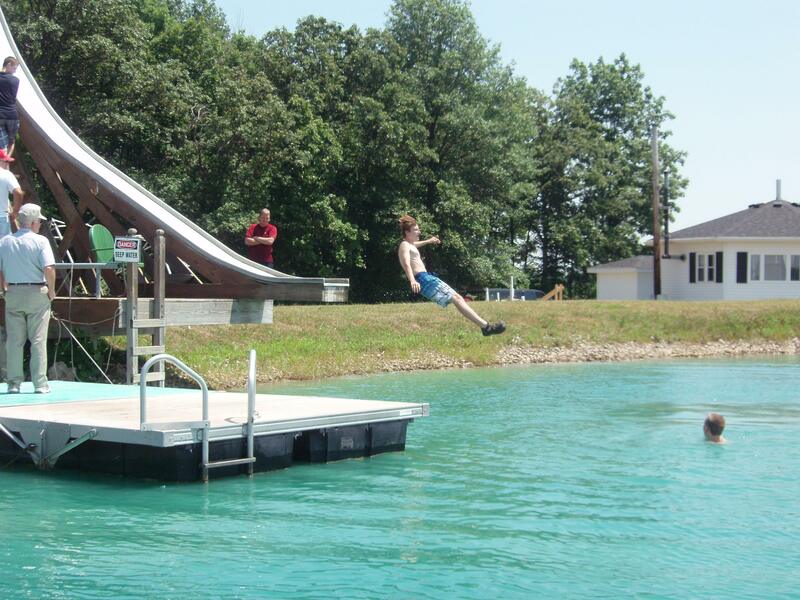 Scouts and adult participants demonstrated how to change positions without swamping a canoe. 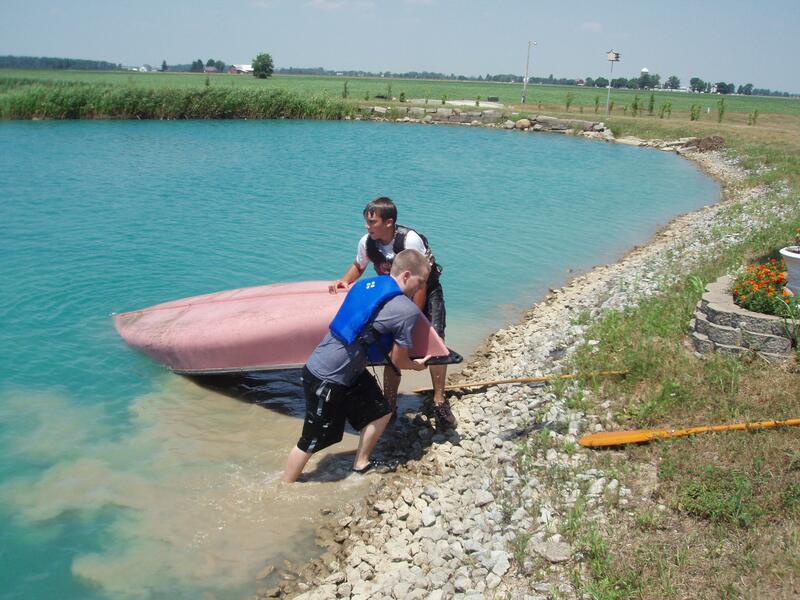 They also showed in deep water how to reboard a swamped canoe and paddle it to shore, do a single canoe rescue by uprighting a canoe empty of water and reboarding, and do a two canoe rescue by emptying the flipped canoe of water and helping the people in the water reboard their canoe.